Keywords: heart damage, rats, adrenaline-calcium model, quercetin, interleukins. Background. Cardiac insufficiency is one of the main causes of morbidity and mortality in the world. Objective. 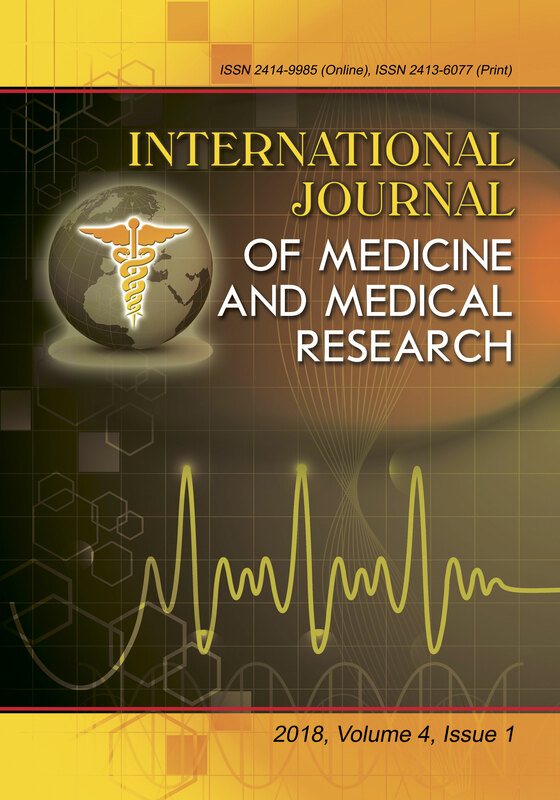 The aim of the study was to determine the content of interleukins in male rats with adrenaline-calcium model of myocardial injury (ACM) and under correction by quercetin. Methods. 143 Wistar male-rats aged 5-6 months were used in the experiments. The changes of interleukins (IL-1beta, IL-2, IL-4, IL-6, IL-10, TNF-alpha) content in blood serum in the development of heart injury by adrenaline and calcium (AC) and use of quercetin for protection were studied. The period of investigation was in 1, 2, 24 hours, 3, 7, 14, 21, 28 days. Results. In ACM model of myocardial injury TNF-alpha increased, IL-2, IL-4 decreased at each period of investigation. IL-1beta increased in 2 and 3 days after the injury, at all other periods (except in 1 hour and 21 days) those indices were decreased. Also we observed similar wave changes of IL-6 and IL-10 content. Injections of quercetin for 7 days caused a significant decrease of IL-2, IL-4, IL-10, and increase of IL-6. In 7 days of quercetin administration after AC-injury, decreased TNF-alpha was observed as well as increased IL-4, IL-6, and IL-1beta rates. In 14 days, the increase of TNF-alpha, normalization of IL-10 to control was evidenced. In 28 days, increased activation of IL-1beta, decreased content of TNF-alpha was fixed. Conclusions. The development of adrenaline-calcium heart damage is accompanied by bright cytokine wavelike reaction at different time points. Quercetin causes normalization of interleukins level. Segura AM, Frazier OH, Buja LM. Fibrosis and heart failure. Heart Fail Rev. 2014;19(2):173–85. doi: 10.1007/s10741-012-9365-4. Frantz S, Hofmann U, Fraccarollo D, Schäfer A, Kranepuhl S, Hagedorn I, Nieswandt B, Nahrendorf M, Wagner H, Bayer B, Pachel C, Schön MP, Kneitz S, Bobinger T, Weidemann F, Ertl G, Bauersachs J. Monocytes/macrophages prevent healing defects and left ventricular thrombus formation after myocardial infarction. FASEB J. 2013;27(3):871–81. doi: 10.1096/fj.12-214049. Hashmi S, Al-Salam S. Acute myocardial infarction and myocardial ischemia-reperfusion injury: a comparison. Int J Clin Exp Pathol. 2015;8(8): 8786–96. Weber KT, Sun Y, Bhattacharya SK, Ahokas RA, Gerling IC. Myofibroblast-mediated mechanisms of pathological remodelling of the heart. Nat Rev Cardiol. 2013;10(1):15–26. doi: 10.1038/nrcar­dio. 2012.158. Frangogiannis NG. Inflammation in cardiac injury, repair and regeneration. Curr Opin Cardiol. 2015;30(3): 240–5. doi: 0.1097/HCO.0000000000000158. Sheremeta L. Antiulcerous activity of liposomal quercetin at experimental subacute gastric ulcer. Herald SSU. The series ’Medicine’. 2008;1:43–7. [In Ukrainian]. Abeywardena MY, Leifert WR, Warnes KE, Varghese JN, Head RJ. Cardiovascular biology of interleukin-6. Current Pharmaceutical Design. 2009; 15:1809–21.